Even though a lot of business transactions happen online these days, there’s still a good number of transactions that occur through the phone. This is why it’s important for any business to know proper phone etiquette, and how to make a good impression on the phone. This may sound silly as the person on the other line can’t see you, but smiling while talking on the phone can make a difference in the tone of your voice and delivery of speech. Every company can come up with their own rule as to how many rings they allow before answering the phone. However, the two-ring rule is ideal. This way, you’re not causing the person on the other end to wait for too long. One thing that usually throws off callers is the unwillingness of the person on the other end of the line to find creative solutions to their problems. To make a good first impression with your customer, you have to be willing to go above and beyond to find a solution for their problem. When you’re in a phone conversation, it’s easy to get distracted and do something else. However, doing this will take away your focus from your client. The client may not see you, but they will eventually notice that you’re distracted and not paying attention. It’s not just how the phone is answered that matters; who answers it matters too. So, if your business wants to leave a good impression on your client over the phone, voicemail is not the way to go. This is the reason why live answering services are becoming valuable. Having a live person on the other end adds a personal touch to every conversation. 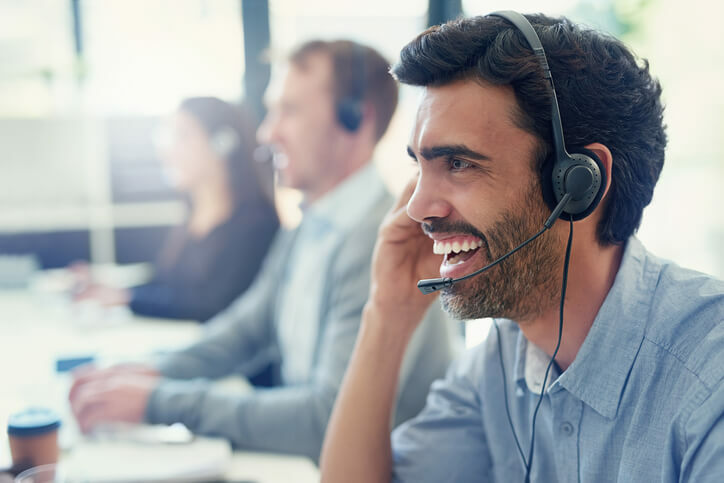 By investing in an answering service, you are making your client feel important. It contributes to overall customer satisfaction and creates a positive brand perception.